Allison joined Pinnacle in late 2015 as a Director of Compensation Valuation following nearly a decade of experience focused on physician-hospital arrangements. 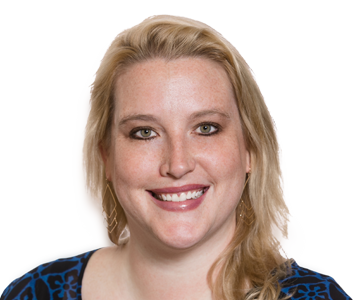 Allison focuses on physician compensation and related plan structuring and compliance. In addition to valuation work, Allison maintains an interest in health care regulatory matters pertaining to physician-hospital transactions, including requirements associated with commercial reasonableness. Prior to joining Pinnacle, Allison was a senior manager over compensation valuation, working at several national consulting firms where she worked with clients including law firms, hospitals, and physician practices. Before her work in the health care sector, Allison gained experience as an independent consultant in matters relating to finance, technology, marketing and economic development. Allison completed a double major from the University of Georgia in international business and marketing. She went on to earn her Juris Doctor concentrating in business law and Master of Business Administration concentrating in finance and consulting from the University of Tennessee. Allison is a former board member for the Junior League of Knoxville and was named an inaugural ‘40 Under 40’ honoree by the National Association of Certified Valuators and Analysts (NACVA).